Have I ever told you about the time I met Angelina Jolie? It's a pretty great story although I'm not going to tell it here so ask me about it some time. What I have learned about her after watching this movie is that she excels when she is truly passionate about something and this is by far her best work as a director. The story plays out more like a documentary instead of a sweeping drama which is very appropriate for the subject matter and makes you feel like you are right with young Luong Ung during her unbelievable journey. The movie doesn't get overly graphic although very few punches were pulled when showing the harsh realities of how the Khmer Rouge soldiers treated the Cambodian citizens during their sweeping invasion through Phnom Penh, the country's capitol. Jolie makes sure we see the systematic humiliation and destruction of the population that overall cost Cambodia as many as 1.7 million, or 25%, of its population. Those who survived were either enslaved, indoctrinated, fled as refugees or fought as a loosely knit yet dedicated resistance. Sareum Srey Moch, who plays Luong in the movie, shows off an incredible talent for such a young actress and Angelina had this to say about her in a recent interview: "She understands hardship. She understands work. And she understands concern, pain, and suffering, but she’s very loved, so she has a combination of this confidence that comes from the things that are most important, but a real awareness of world issues for such a young person." 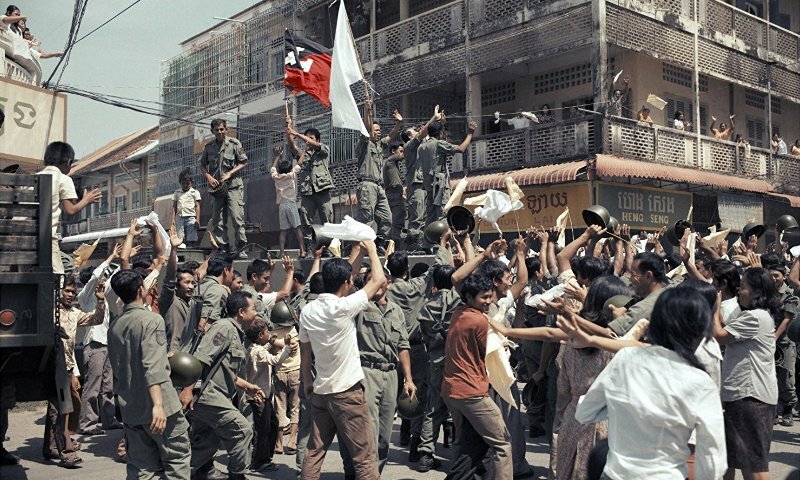 In creating the film, there were roughly 500 Cambodians working as part of the production team and the cast, including some 3,500 background actors, was entirely Cambodian as well. First They Killed My Father is a very well made film that will get all up in your emotions by opening your eyes to military atrocities that have been left mostly under the radar until the last few years. 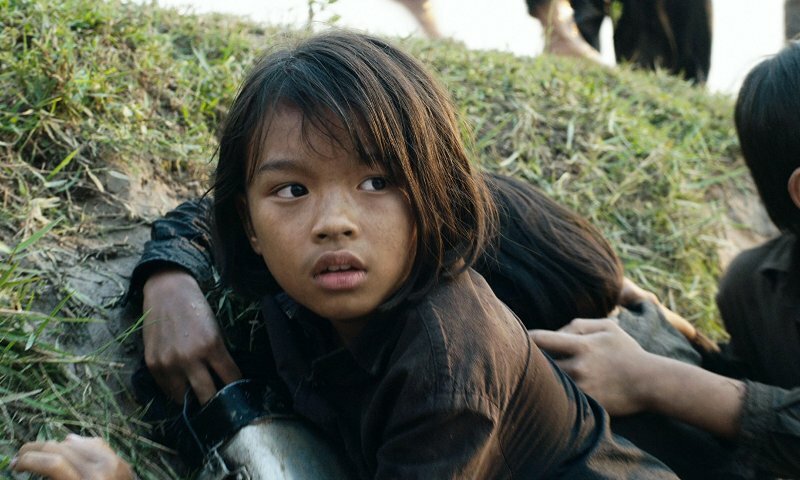 This movie gives just enough to be seen as an introduction to the Khmer Rouge and should lead you to other films like S-21: The Khmer Rouge Killing Machine and the Oscar-nominated The Missing Picture.